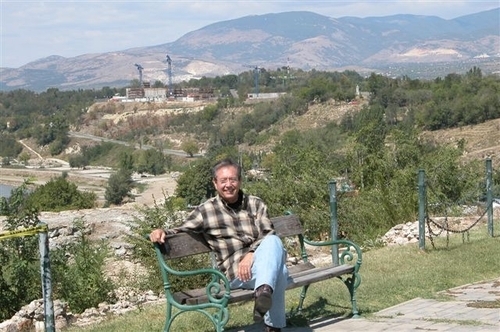 Let's picture Ken sitting there on that bench, the construction project in the background, conversing with us in the words of the earlier referenced e-mail, "Several of you have asked me about Macedonia. It is a great and beautiful place - if they had weed-eaters, lawnmowers, a non-litter law and a drive to use them all...Needless to say we are behind schedule a bunch...Both Carole and I have enjoyed the countryside but it is not home and will never come close. We miss all of you a bunch."